Dedicating books is one of those special things writers get to say thanks to those whose support and love mattered. The Frank Nagler books have been dedicated to my family and writer friends who have read, supported, and offered opinions on the works, for which I am forever grateful. “The Weight of Living” has a special dedication to Marie Howard, a colleague of mine at the Central Maine Morning Sentinel in Waterville. She was a Jersey girl from Paterson who brought to Maine that urban toughness and a great sense of fairness that dominated her reporting. She lived for many years on her horse farm in the middle of the nowhere part of Central Maine. People like Marie Howard made the newspaper business special, rewarding and fun. She would have fit into any newsroom I worked in, a pros-pro among equals. Her efforts are memorialized in the book in the scene when reporter Jimmy Dawson leaves the diner and finds his car boxed in by two large trucks. That happened to Marie as part of an intimidation campaign by this official. 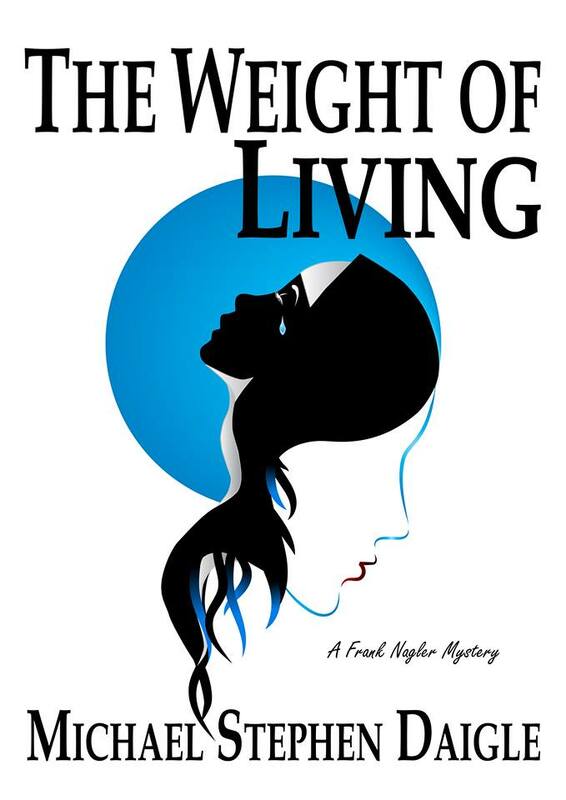 “The Weight of Living” was released April 26. This entry was posted in Fiction, Hot in Hunterdon; Georjean Trinkle, Imzadi Publishing LLC, Michael Stephen Daigle, Mystery Writers of America, www.michaelstephendaigle.com and tagged "A Game Called Dead", "The Swamps of Jersey" Imzadi Publishing, "The Weight of Living", Fiction, Frank Nagler, Ironton. Bookmark the permalink.